My entire adult life, I've believed that all good things are blessings, gifts from God. I've always said there's no such thing as luck. My adult vocabulary barely even includes the word "luck". Like so many other things, my journey with Down syndrome has changed my view on blessings and luck. Throughout my pregnancy and birth, I often felt very blessed that Cade doesn't have any serious medical issues. 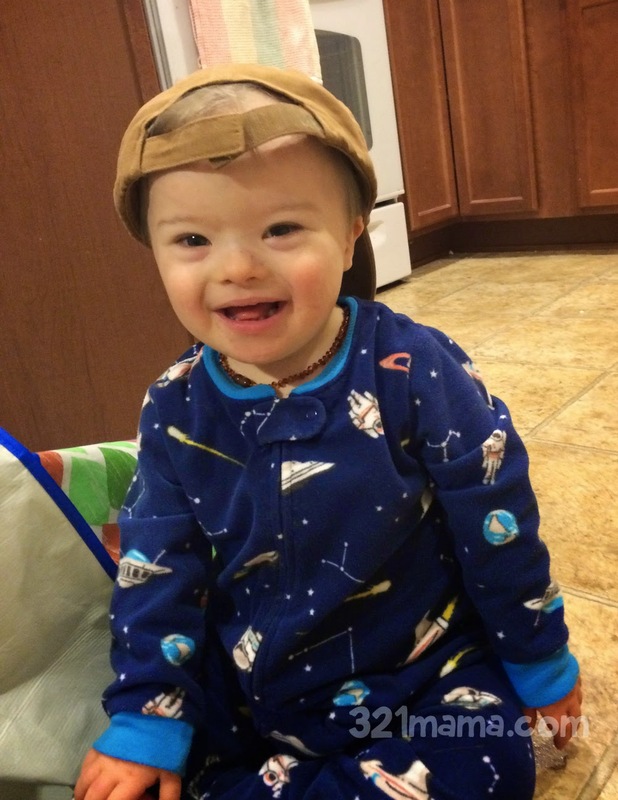 He certainly could have...Down syndrome very often brings a host of medical problems, including heart defects (he had 5, but required no surgery), leukemia, seizures, and more. But as I got to know other mothers whose children also have Down syndrome, I was troubled by something. So many of their children have such a hard time. I kept feeling guilty...why is their journey so much harder than mine? Why is Down syndrome no big deal to us, but such a hugely enormous deal to these other families? In June, our small community of families grieved after a series of deaths. Three babies in one week, one from a virus and two from complications after heart surgery. It was devastating. And the thought persisted, why am I blessed but they are not? To give someone a blessing is to bestow on them a gift. A statement of praise or congratulations. It's not something that "just is", it's a purposeful motion from one person to another. If my son's health is a blessing, then that means God purposefully gifted him with health. And if I believe that God purposefully gifted my son with health, then I have to also believe that he purposefully withheld the gift from other children. This made me feel terrible. Every time I would comment on a Facebook post that "we were so blessed that his spasms were benign" or "it's such a blessing that his heart defect wasn't serious" I felt like I was punching the other moms. I understand the scriptures about why God blesses one person and not another. Often it's sin, but that just didn't seem to apply here. None of our babies are old enough to be sinful yet. Perhaps the sins of the parents? That doesn't fit either, I'm no more or less sinful than anyone else. At least one of the families from June are devout Christians like us. Are our prayers better than theirs? No, I'm pretty sure they're not. One scripture jumps out at me as I try to sort this out. I still don't believe in the superstitious nature of luck. Wearing the same socks every day won't make your team win. Kissing a coin before dropping it in the slot machine won't make you rich. But the random nature of luck? Absolutely. Sometimes things just happen. They happen to all of us. This baby gets a huge hole in her heart, while that one has a perfect heart. This child gets leukemia while 10 others miss it. Cade is pretty healthy. We've had some bumps, but they're so minor compared to what other kids go through. Our journey has been easy and I am so thankful to God for this. But I no longer say that we're blessed by it. We're just lucky. But always, always, super blessed to have this guy. He is indeed God's gift to us, purposefully bestowed on us, forever cherished.